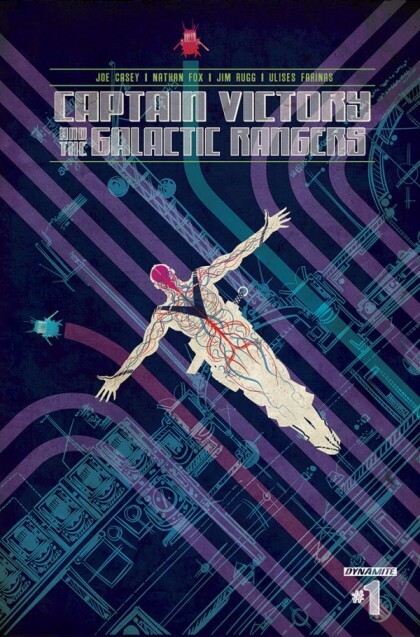 SETH’S PICK :: CAPTAIN VICTORY AND THE GALACTIC RANGERS #1: One of Jack Kirby’s last great series gets a shot of new energy this week. It’s written by Joe Casey, who wrote one of my favorite series in recent history, Dark Horse’s Catalyst Comix. Similarly to that book, Captain Victory teams Casey with a variety of talented artists to tell an offbeat sci-fi superhero story. This time around Casey teams up with Nathan Fox, Jim Rugg, Ulises Farinas, Ben Marra, Farel Dalrymple, Michel Fiffe and more, all creators who happen to make some of today’s most consistently inventive comics. The preview pages suggest that these artists brought plenty of joy and enthusiasm to Kirby’s world, and I can’t wait to see their work on this underrated property.